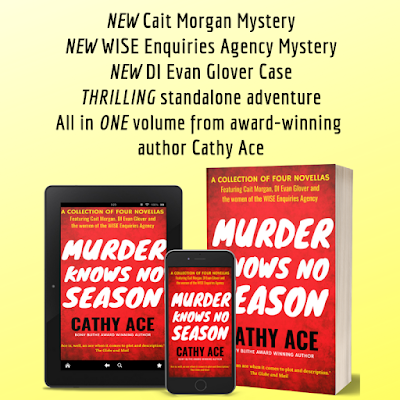 Cait Morgan here – yes, I’m back! And just in time to thank everyone who’s written to me during the couple of years I’ve been away asking about my well-being. I’m fine…now. 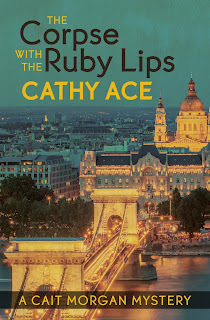 If you read what happened to me in Budapest (The Corpse with the Ruby Lips) then I’m sure you can guess it’s been a time of change for me, so I’ve been taking a bit of a break to sort myself out. However, it seems folks have been missing me, so I’ve decided to share the story about how I got stuck in a snowbound hunting lodge a few years ago - with a corpse and eight suspects. This happened not long after I met Bud – so we were still relatively new colleagues, and only had a professional relationship at that time. My, my, how time flies! Who’d have imagined everything that’s happened to us since then? Not me, for one. And not him, for two. I know those who live in the USA celebrate their Thanksgiving now – we had ours in Canada back in October – so I’d just like to thank all my American chums for being so supportive of me in my tough times. Thanks to everyone else, too - you know, not just the Americans. Oh dear, you can tell I've got out of the habit of speaking to more people than just Bud! I hope you (all!) 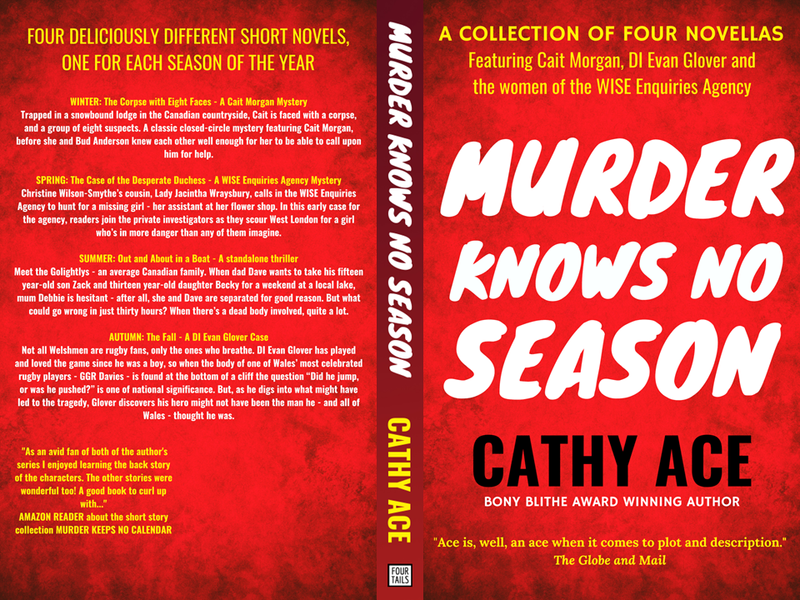 enjoy this new-to-you tale which – as is so often the case for me – meant I had to work out which one of a small group of people killed someone in a situation when I knew an outsider couldn’t have been the culprit. Happy Thanksgiving to those of you who celebrate it - and have a super day to those of you who don't. Available NOW via your local library or bookstore, or online in print and as an e-book. 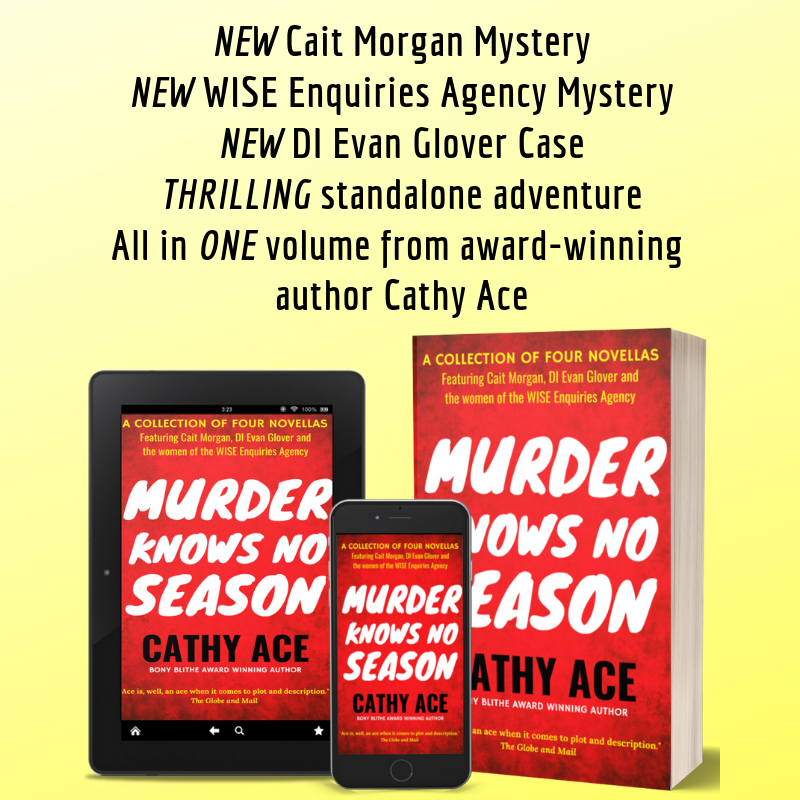 This collection of four short novels is 273 pages long (so great value) and contains NEW stories featuring Cait Morgan, the WISE Enquiries Agency and DI Evan Glover...plus a standalone thriller. GIVEAWAY! 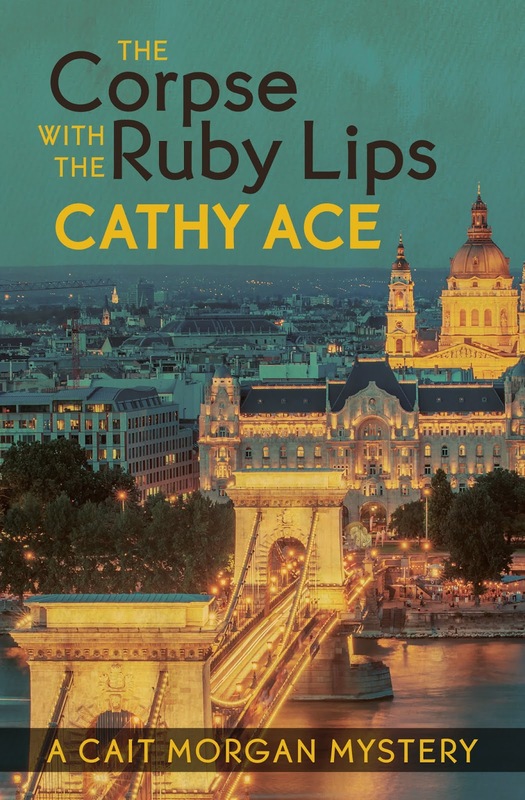 Comment on this blog to be entered into a draw for a FREE print copy of this book. Comment below, leave your email address, and do so by midnight Eastern on Saturday 24th November to have your name in the metaphorical hat for the drawing.YOU CAN ENTER FROM ANYWHERE IN THE WORLD! I would be honored if you'd consider reading my work - and THANK YOU for your support! Thank you so much for the book giveaway. It sounds like you have been busy since your last adventure! Thank for commenting, Deb - oh yes, Cait's been busy! Happy Thanksgiving! Sounds like an amazing story for us. Thanks for the chance. I hope you enjoyed your Thanksgiving. The volume is a BIG read - which is always great :-) Happy Thanksgiving! Whether you celebrate Thanksgiving or not---have a wonderful day! This is a great series. I'd love to have some more backstory. Happy Thanksgiving! Really like the sound of this book. This is a new series to me,looking forward to reading. Great to have short stories to read while I wait for the next book in each of the series. Happy Thanksgiving. This sounds like a book I would enjoy. Thanks for the chance. This all looks fantastic. Thank you. How FUN!!! I absolutely love this idea of a compilation of short stories for the 4 seasons all together. Awesome giveaway! I am thankful for the chance! Happy Thanksgiving week! Happy Thanksgiving! Glad to hear you're back and are doing well, Cait!